Click the "Buy Now" button to make your monthly payment or to purchase marketing services. If you have any questions, please call Earl Scheithe. 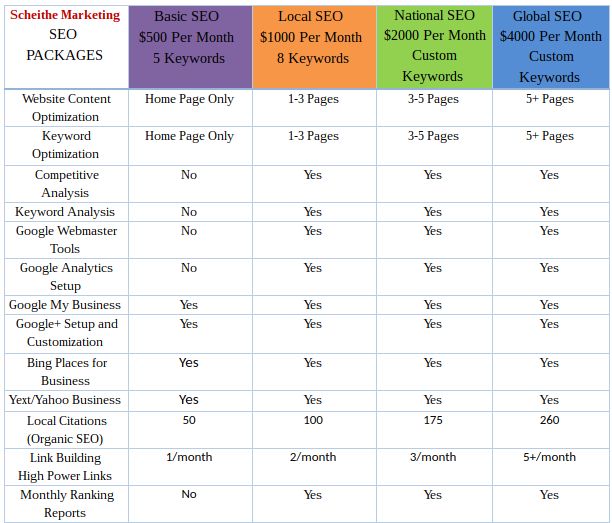 For a limited time only: new clients receive half-off on SEO services for the first three months and existing clients receive a one month credit for each referral (contact us for more details).